all photos from calivintage and modacycle. 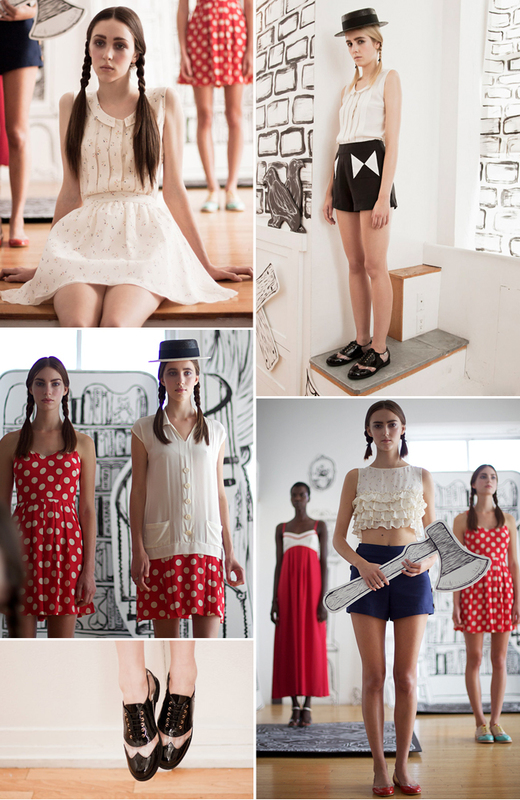 I am smitten by Rachel Antonoff's Spring 2012 collection. Influenced by Wednesday from the Adams family, the collection takes a quirky and fun direction while still being wearable. I will be waiting patiently till some of them start trickling in at bonarag. Trying out new make up looks the past few weeks and I am loving the cat eye look. 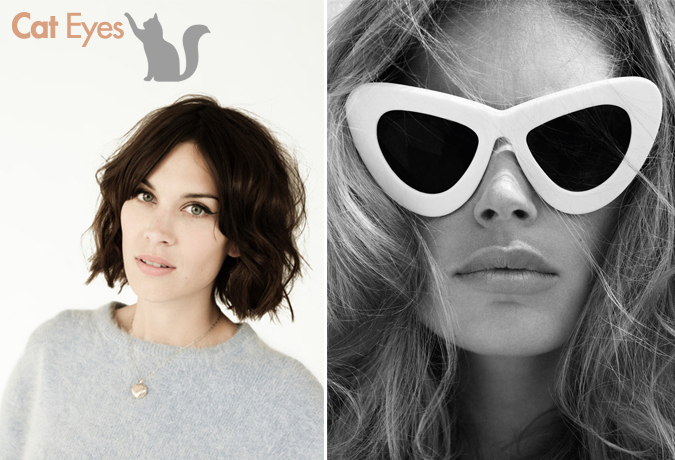 The 60s cat eye liner paired with some amazing huge cat eye sunglasses. MEOWWWWWWWW! For more, go to my photography tumblr where I will be updating with tons more! P.S. Hiking gear is not very fashionable. I searched high and low for cute hiking boots but they all look the same bulky and brown. haha. Now, there's a market that's waiting to be touched. Any takers? I know my outfits here are nothing to significant but wearing clothes that are actually practical for the occasion was a must! Good Morning. Here to share one of my new favorite up and coming models, Edie Campbell. Actually, she's been around so she's not super new but I keep seeing her pop up everywhere more often, I guess. Or perhaps you've seen Orla Kiely's look book from a season ago which was shot by talented Venetia Scott? If you haven't seen it, take a gander here. She has this 60s vibe to her that I adore! I especially love that drop waisted line dress. Cute! 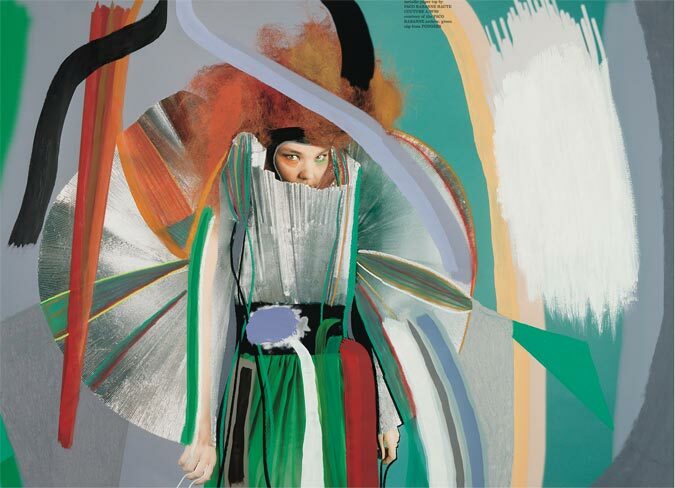 This editorial is by Tim Barber for Muse Magazine. I cannot express to you how much I am in awe and completely inspired by this woman. She has been around for a long time yet manages to create brilliant innovative music each round. 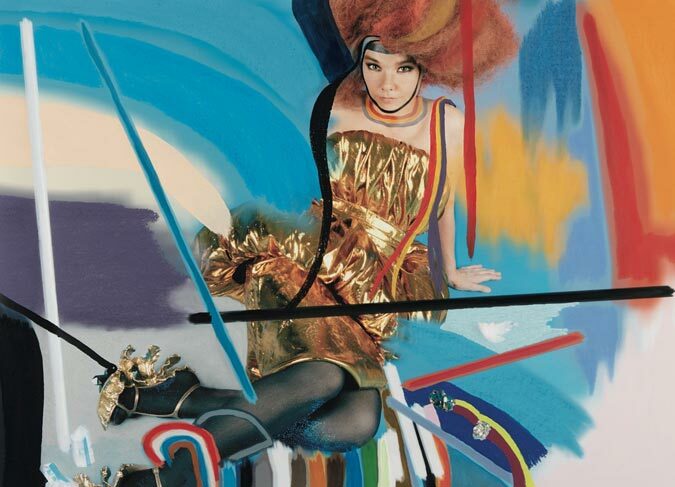 I love her sense of total abandon to her art and music. Completely fearless to what others think. She creates such a magical world inviting you in it. 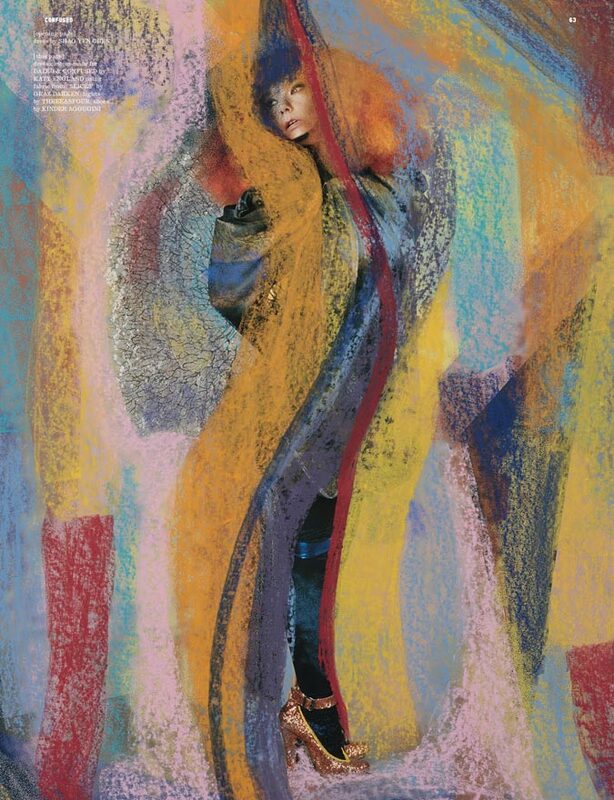 Much like the late Lee Alexander McQueen, she is able to see past this world and into other ones through creativity and imagination. They both have this extraordinary ability to embrace the future while drawing influences from history. I was dying to see the actual look book for Alexa Chung x Madewell collection and its finally out! I don't see the polka dot blouse from the video and the dress in the video was a creamy pink/beige color and in the look book here, its red. So, perhaps there are other options that will be revealed at the opening party. Any of these strike you? I am really eyeing those leopard boots and the black coat the most or perhaps the lace top or dress. Haven't decided yet.